Before your little bundle of joy arrived, you knew there were going to be tough times ahead. You likely heard many stories about the sleepless nights and endless crying fits that were to come. It’s no secret babies cry a lot, but hearing about it and experiencing it are two very different things! Not only can the sound of your little one constantly crying be hard on your ears, it can also be really distressing. As a new parent, you’re instinctively driven to soothe and protect your infant from the minute they’re born. So, when nothing you do seems to be working, combined with the endless sleepless nights, it can be really upsetting and make you want to have your own little breakdown right there on the kitchen floor! As you may have already found out, when you get stressed, it in turn stresses your baby out even more. So, this then makes it much more difficult to soothe them if you’re not relaxed and in control. 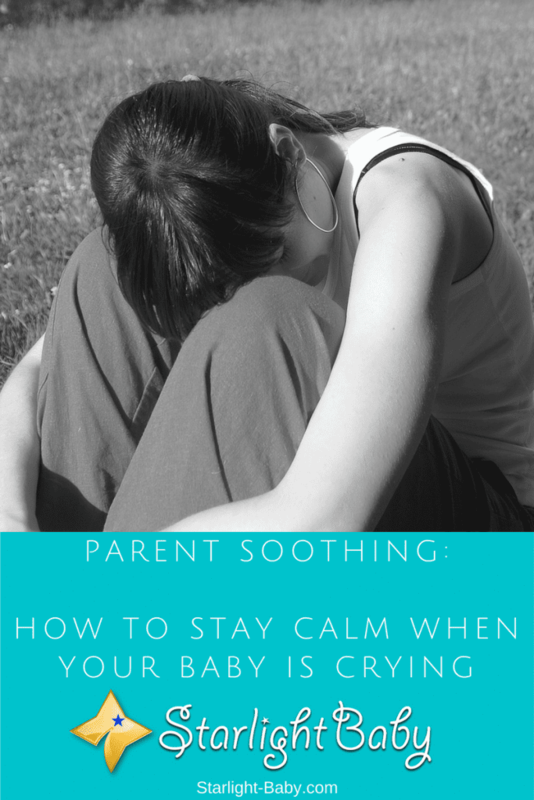 If you’re struggling to stay calm, and trust me, you’re not alone, below you’ll discover some of the top parent soothing tips that could save your sanity. One of the oldest and most effective tricks in the book is to take long, slow, deep breaths. This is the number one tip you’ll come across when trying to find ways to relax. There’s a reason it’s constantly recommended and that’s because slowing down the breathing automatically relaxes not just the mind, but the entire body. In fact, some studies suggest that slow breathing can add years to your life! Think of a tortoise for example. They breathe and move extremely slowly and can live over 100 years. Compare that to mice which breathe much quicker and live a much faster lifestyle and they have an average lifespan of just 2 years. We are mammals after all, so slowing down our breathing from time to time can have fantastic benefits. Now, it’s actually a lot harder to do than it sounds. The key is to breathe in deeply through the nose for around 5 seconds, then breathe out slowly through the mouth for another 5 seconds. This is an especially good tip to try whilst you’re actually holding your baby as they will find the slow movement really calming. They will also automatically alter their own breathing to match your own. Create a what??? Believe it or not, a mantra is a fantastic way to soothe the mind in a stressful situation. It’s basically a little phrase you repeat silently in your head. It should be fairly short and could be something as basic as “Stay calm, stay relaxed”. Just keep repeating that to yourself over and over again until you start to notice yourself becoming more relaxed. It’s worth noting you may have to experiment a little with different phrases. Find something that works for you. It could be a motivational quote you particularly like for example. Often, the brain just needs a little distraction. If deep breaths aren’t enough to calm your mind, a mantra could be an excellent alternative. Dim the lights a little and put on some soft, soothing music. You may find it works best if you sit with your baby, ensuring skin-on-skin contact. The dim lighting will remind them of bedtime, while the soft music will help to soothe both of you. If this doesn’t appear to be working, a little movement might help. Slow dance with your little one or rock them gently. You can also talk to them softly to reassure and calm them. Sometimes, the only thing you can do to stop yourself completely losing it, is to take a step outside the room for a few minutes. Obviously place your little one back in their crib, then go out of the room, shut the door and try to calm yourself. You can even try some of the earlier tips such as deep breathing and repeating a mantra in your head. Anything that helps you to relax for a minute or two will greatly help the situation. Many new parents swear by this technique. Now, correct meditation is considered sitting down on the floor, closing your eyes and blocking out everything around you. However, there are different types of meditation you can try out. Visualizing a relaxing, soothing place is a great start. Close your eyes and imagine somewhere peaceful. It could be lying on a beach, being in a cabin in the middle of the woods or you could even imagine you’re floating on air, high above the ground where nothing can bother you. The mind is a very powerful thing and creating images can really distract you from everything else that is going on. If absolutely nothing is working, the best thing to do is to get help. It can actually be dangerous in some situations where you haven’t had enough sleep for weeks and your little one just won’t stop crying. So, accepting help can be the safest thing you can do. Everybody needs help sometimes so don’t be afraid to ask! Overall, it’s easy to focus all of your energy on soothing your little one, forgetting that you need to be calm too. Following the advice above can really help save your sanity. Remember, you may need to try out quite a few different things before you find a technique that works. Do you have any other suggestions for “parent soothing”? Let us know below! This brought back the memories when I was a completely clueless how it all works. I still remember how stressed out I would get when our newborn cried. I wasn’t stressed at him but at myself – I always thought that it’s my fault and that I am doing something wrong. I didn’t realize that it’s all part of him being a baby and developing. The older they get the less they tend to cry. When his crying was at his ”peak” I often resorted to meditation. Luckily, I knew how to practice it from before so I didn’t have to learn everything again. I just did the basic kind where you listen to a voice guiding you around an imaginary area and saying/describing things. It is so, so relaxing and it always soothed me down after being stressed out. It will help you a lot. I’d really highly recommended it to any parent that’s struggling with the same things that I have in the past. We also have another baby on the way so I am fully prepared! Aw, that is a really difficult thing to deal with and feeling bad towards yourself only makes things harder. It really is a tough feeling when you can’t seem to do anything to help them feel better, but as you said it’s just all part of him being a baby. Meditation is wonderful and I’m glad it’s worked so well for you, I appreciate you sharing your process with us. Honestly there are so many people who don’t know how powerful it really is. It’s got to be one of the best things people can do to instantly improve their life, and it doesn’t require anything at all except a few moments. This is especially useful for parents hahaha. Thanks so much for sharing these tips because it’s a very common thing for babies to carry even when the parents have done virtually every thing in their power to make the baby comfortable such as feeding them, bathing, calm room environment, comfortable dress etc but still some babies would want to use crying to drive their parents nuts. So taking some tips from the ones shared above would definitely help parent who have such cases. Listening to music is surely going to be very helpful.